I’m launching a new series of posts here, as I wanted to share with you some of the character turns I did for DC Licensing which became the basis for some action figures by Mattel. Mattel did a huge line of action figures based on the popular Justice League animated series that aired on Cartoon Network a few years ago. With the legions of heroes and villains and variant versions of those characters they appeared on the show, they had a lot to work with. But as they were coming to the end of the marketable characters to make toys from, Mattel wanted to keep the successful line going. 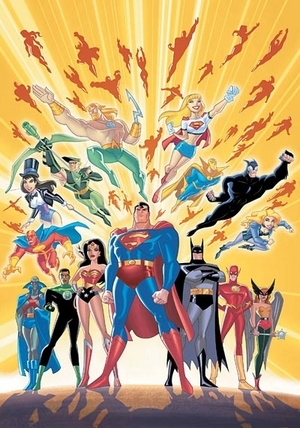 The solution was to make figures based on DC Comics characters who never appeared on the show, and convert them into the distinctive style of the Justice League show! I was hired by DC Licensing to do character turns (front, back and side views) of certain DC characters, translating them into the style of the Justice League animation designs. I was a fairly logical choice to do this as I had done other work for DC Licensing in the past and had drawn several issues of the comic book tie-in for the animated series in question, so I was fairly familiar with the stylistic traits of the series. To be clear, I wasn’t designing toys, I was creating animation designs: I wasn’t making any allowances for hinged action figure joints or anything of the like, I was just trying to create a sleek, simple version of each character that would be the kind of interpretation that would be made when translating the character for animation. Even if these designs would never be animated, those are the sensibilities behind the existing Justice League designs I was trying to match. Taking my lead from what had been done with other DC Comics characters designed for the show, I felt I could take certain liberties with a given character’s look or costume to make that sleek/simple thing work, but that I otherwise should stick with a classic interpretation of the character. The most fun I had with this series might have come when I was given the chance to do a 4-character set of designs featuring the Doom Patrol. These characters had appeared in animation on the Teen Titans animated series, but that show had a very different design style than Justice League, so I didn’t really refer to those designs and instead drew all my inspiration from the original 1960s versions of the characters from the comics. 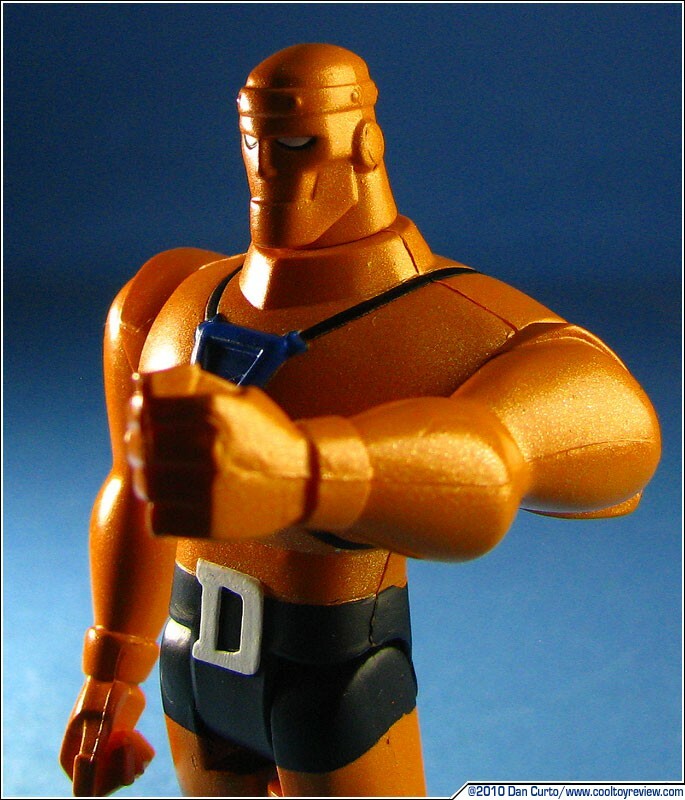 The first Doom Patrol member we’ll be looking at is Robotman. 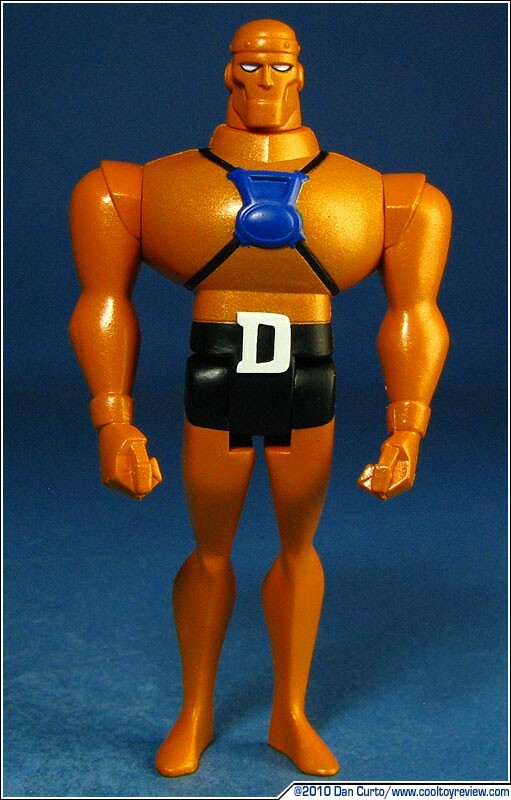 Aside from wrapping the comic book design around the proportions typical of the Justice League animation style, the one departure I took from the classic look was the D I placed on Robotman where a belt buckle would be. I placed this D on all the Doom Patrol designs I did, figuring that it would be a nice visual element to tie the four together, as nothing else about their appearances connected them as a team. If anyone had objected, it was the kind of detail that would be easy enough to remove! I guess they liked the D! 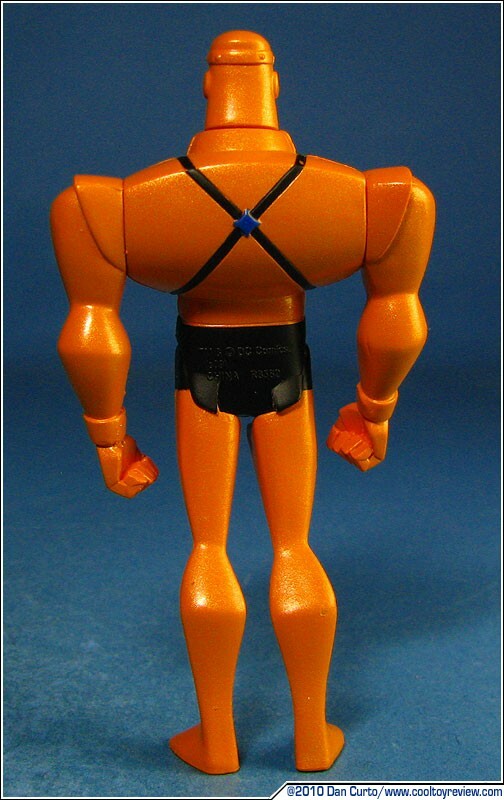 You can see where some compromises were made to translate the “animation design” drawing into an action figure. The legs are a little stockier and the stance is wider so the figure will balance better, but otherwise it’s pretty close! And check this out! Here’s the back of the card from the packaging for the Robotman figure. 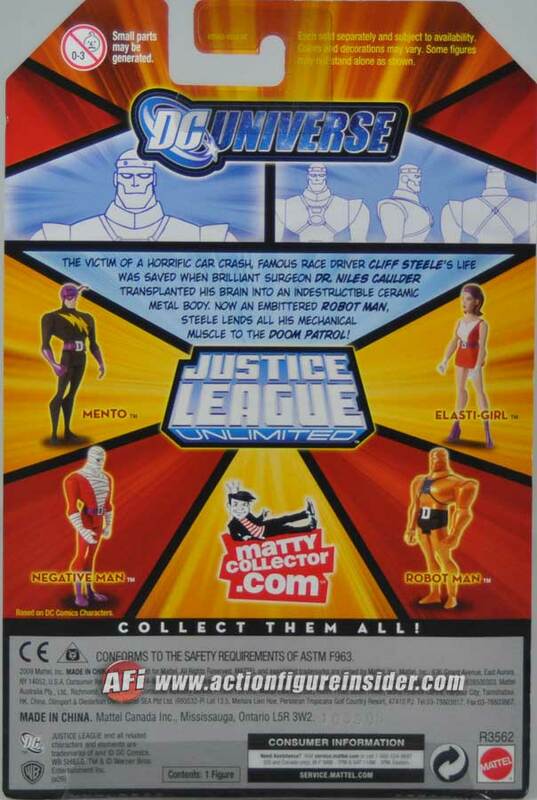 It shows the other characters from the Doom Patrol set within the larger Justice League Unlimited figure series. But wait, what’s that across the top? Yep, that’s my Character Turn art on the packaging. They did this with pretty much all the figures I helped design. Cool, huh? I sure thought so! Next up for Toy Turns, the rest of the Doom Patrol, and then we’ll move on to some of the other characters I did.